Hosts UAE suffered defeat at the semi-final stage of the Asian Cup for the second-successive edition after Qatar secured a 4-0 win. 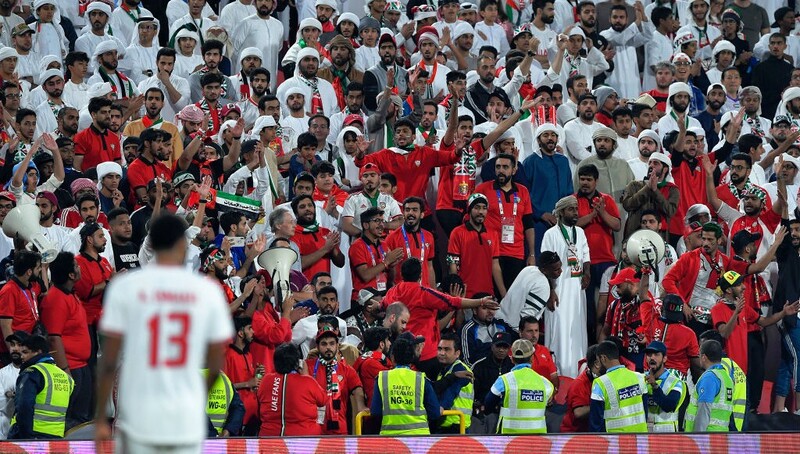 An electric Mohammed bin Zayed Stadium was packed to the rafters for Tuesday’s much-anticipated clash between the undefeated rivals. The fervent home support, however, was left deflated in the first half thanks to makeshift centre-back Boualem Khoukhi’s low shot from out wide and striker Almoez Ali’s fierce strike which pinged in off the post. This effort saw the 22-year-old draw level with Iran great Ali Daei’s record of eight goals in one tournament, set when the event was previously held in the Emirates during 1996. His goal also helped guarantee the UAE would not repeat their foray to the final from 23 years ago, plus gift the Qataris a debut run to the decider. In an eventful end to what is almost certainly coach Alberto Zaccheroni’s last match in charge, visiting skipper Hassan Al Haydos first dinked in. Home centre-back Ismail Ahmed was dismissed by VAR for an off-the-ball elbow and replacement Hamid Ismail slotted in via goalkeeper Khalid Essa during injury time. The former AC Milan and Juventus supremo – who lifted the 2011 Asian Cup with Japan – made three changes from the side who stunned holders Australia 1-0 in the previous round. Amer Abdulrahman and Khamis Esmail freshened up the midfield, while winger Saif Rashed was brought in to allow a switch to a traditional 4-3-3 formation. For Qatar, the returns from suspension of 2018 AFC Player of the Year Abdelkarim Hassan and defensive midfielder Assim Madibo were welcome boosts. The Maroons had, however, stunned Son Heung-min’s South Korea in the previous round without them. The deadlock was then broken on 22 minutes after a cagey start. Qatar swept forward, in characteristic fashion, on the counter and Khoukhi surprisingly emerged on the right flank, with his shot then finding the bottom corner. UAE remained undeterred and Ismail Al Hammadi’s header produced a strong save from Saad Al Sheeb, to help continue the Qataris record of not conceding in the Emirates. This endeavour went without reward and Qatar soon doubled their advantage. Ali stood up veteran centre-back Ismail Ahmed on 37 minutes and charged toward the area, before opening his body to place home via the woodwork. A record ninth strike against record four-time-champions Japan in Friday’s final at Zayed Sports City will see him become the competition’s outstanding marksman from one event. 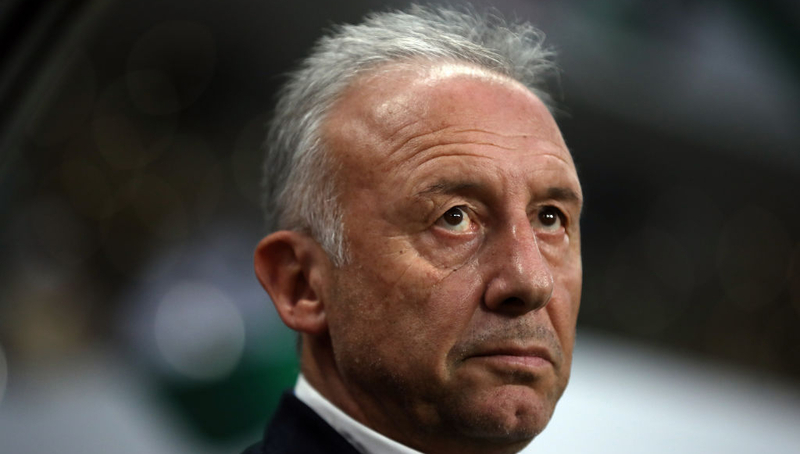 Zaccheroni – who if this is his final match leaves with a record of nine wins, seven draws and eight defeats since being appointed in October 2017 – looked to his bench for inspiration. Iconic forward Ismail Matar and 2015 AFC Player of the Year Ahmed Khalil were both on the pitch by 51 minutes, with the former’s blocked shot and latter’s saved header showing their rare quality in the absence – for the entire tournament – of injured superstar playmaker Omar Abdulrahman. The Whites’ pushed, in vain, for a lifeline. Al Haydos’ impudent chipped finish on 80 minutes from a one-on-one decisively ended all hope of a famous comeback. Ahmed then struck Salem Al Hajri and Ismail converted on the break. Japan stunned Iran 3-0 Monday in the UAE to advance to the final of the 2019 Asian Cup. Iran, hot favourites to win their first Asian championship since 1976, gave up a shocking opener in the 56th minute when several defenders stopped to demand a diving penalty on Japan’s Takumi Minamino. But play continued on and Yuya Osako headed it in behind a scrambled Iranian defence to give the Samurai Blue a 1-0 lead. Osako doubled on a penalty four minutes later to make it 2-0 before Genki Haraguchi capped the scoring in stoppage time. Tempers boiled over in the final minutes with players tussling before order was restored in what could be Iran head coach Carlos Queiroz’s last match after eight years in charge. Carlos Queiroz has been appointed the new manager of Colombia. A stoic and sombre Carlos Queiroz said ‘sayonara’ to Iran after his side were swept away 3-0 by Japan in the Asian Cup semi-finals. The former Portugal and Real Madrid manager quoted Frank Sinatra in his post-match press conference as he revealed “the end is here” following Yuya Osako’s brace and a third in stoppage time from Genki Haraguchi. 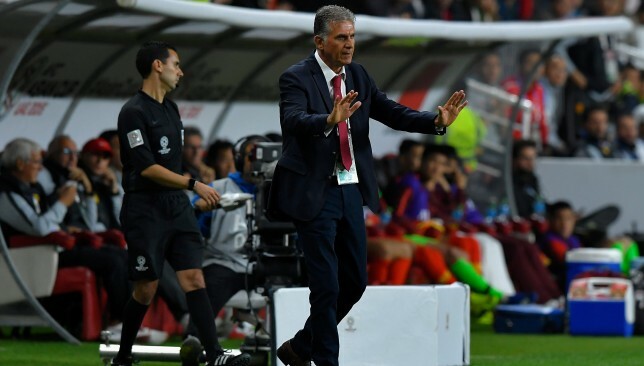 The veteran Portuguese has reigned over Team Melli for the last eight years – during which he has led them at both the 2014 and 2018 World Cups and seen them become the No1 ranked team in Asia. Iran are ranked joint 29th by FIFA alongside Serbia, 12 places above the next Asian team in deposed continental champions Australia. But Queiroz was unable to deliver success at the Asian Cup as his side exited at the quarter-finals four years ago Down Under, while they were dumped out in Al Ain on Monday night at the hands of the record four-time winners. Iran have won the Asian Cup three times themselves – successively from 1968-76 – but have failed to reach another final in 11 subsequent attempts. And the 65-year-old Portuguese described it as “a joy” to have coached the nation, who he took charge of in April 2011. “The most important thing for me is I am so proud of this adventure, this journey with my players,” said the former Manchester United assistant, who was afforded a standing ovation after exiting his press conference at Al Ain’s Hazza bin Zayed Stadium. “They’ve been fantastic, they deserve to be in the final for everything they have given. The most simple thing to say is copying the famous song ‘And now the end is near’ (the opening line from Sinatra’s My Way). “I’m very happy and very proud because I did it my way. It’s just time to show my gratitude to the Iranian fans. It’s been a joy to coach this team for eight years. I wish them the best of success, they deserve it.